Deepest Emerald Green brings fields of clover to the palm of your hands. This is the lush green you've been waiting for - rich greens and electric swirls. 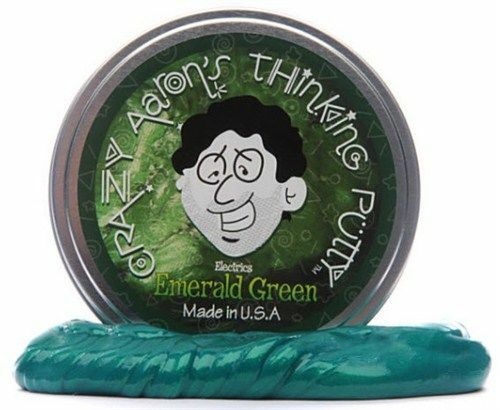 Crazy Aarons Emerald Green 4 inch Tin Thinking Putty. Crazy Aarons Lilac Electric 4 Inch Putty is packed with 1/5 lb of putty - much more than you get in a plastic egg!